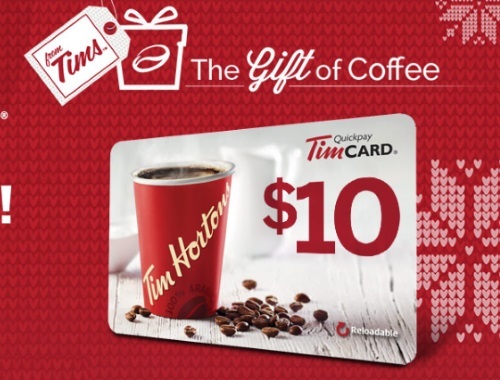 Get a Free Tim Hortons $10 Tim Card when you purchase 3 Tim Hortons eligible products! Take a photo of your receipt dated between November 8-December 31, 2017 and submit your photo of your receipt as proof of purchase. All submissions must be received on or before January 26, 2018.. Each gift card request must be submitted separately.